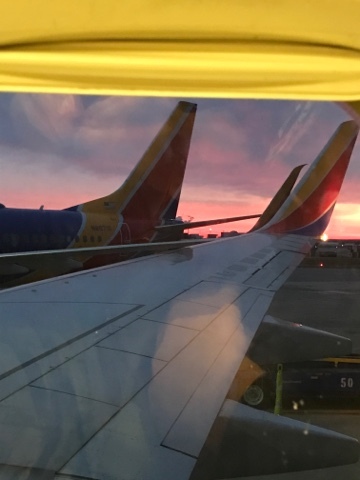 It was up at 4:30 am this morning in Baltimore for my son and I to catch the 7:00 am flight to Boston. Since my body is still on west coast time, that is like 1:30 am on my body. We arrived at Logan Airport about 8:30 am and it was right out to get Uber or Lyft as we didn't have checked bags. I tried Lyft and couldn't get a car, my son tried Uber and got one right away for a 6 minute arrival. The $16.00 Uber ride was simpler than taking public transportation to get to our next stop North Station. 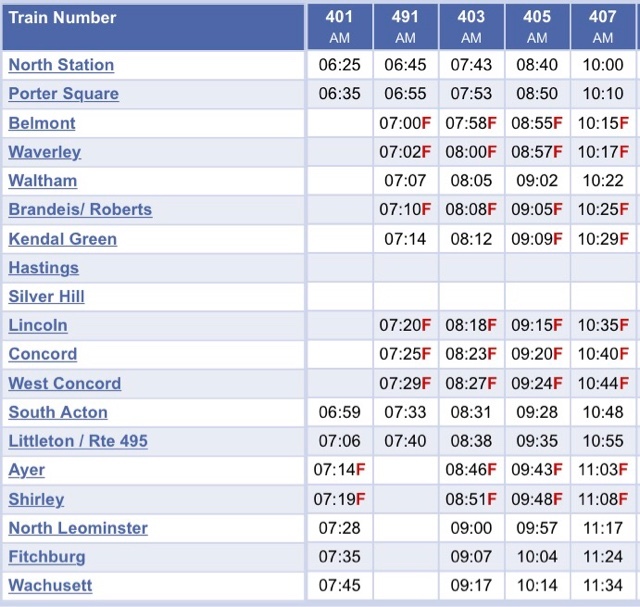 We had to wait for the 10:00 am train to Wachusett Station, the newest and last station on the line closest to my town. My sister in-law picked us up at the station and dropped us at home. 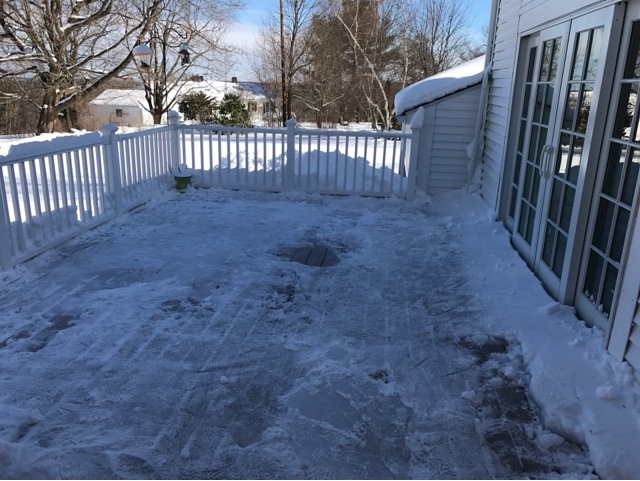 The first thing on the list to do was shovel the 15-20 inches off the back deck. I did this while my oldest son, I flew with, went on a teleconference call for work. My youngest son who did arrive home last night on s direct flight from San Diego, was at the ski area skiing. 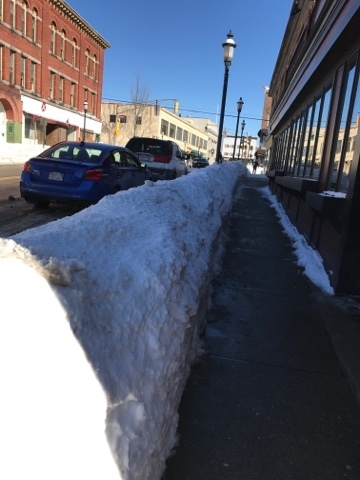 After an hour of clearing the back deck and my son was finished with business we went to the small city by us for lunch. 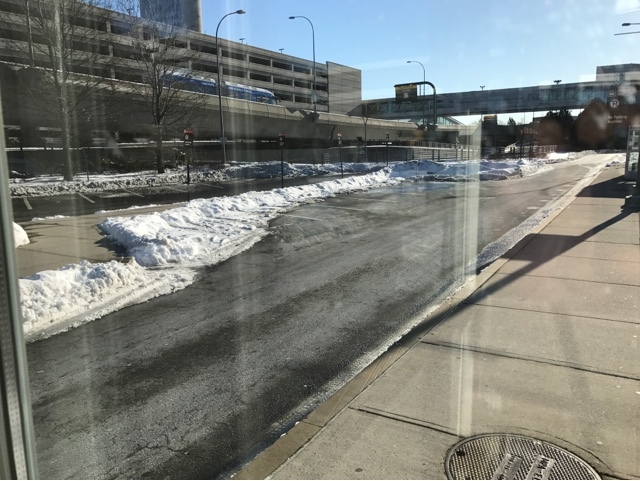 Check out the snow banking on the side of the city streets! After eating lunch, I picked up my son that was skiing. Then I had time to shovel the walk and salt it for tonight's gathering after the wake. There was still time for more shoveling and I went after the street side mail box that is snowed in, hampering postal delivery. It was tough shoveling as the bottom was packed and turned to ice. I got this mailbox shoveling done and it was just time to clean up and get to the funeral home for the wake. It was one of the few times that people will see the 3 MacAloney men in suits! Finally, after the wake it was a family gathering time at the house this evening.